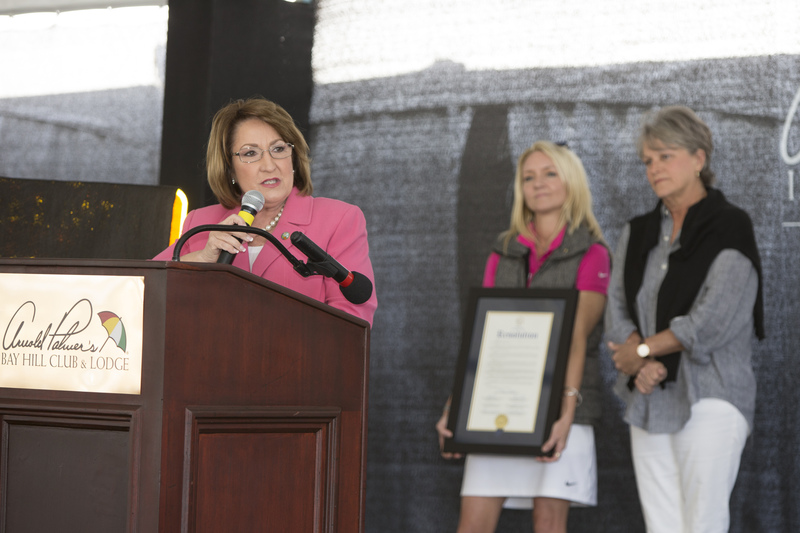 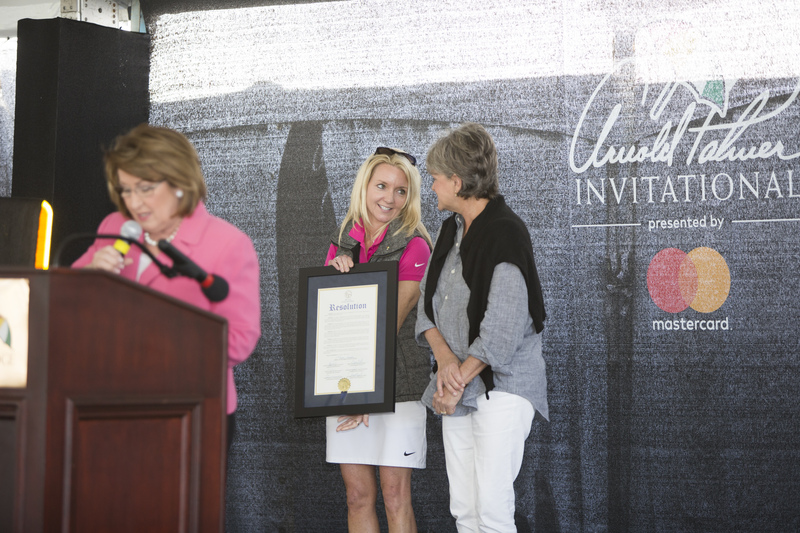 To close the annual API Volunteer Kickoff Breakfast, Amy Palmer Saunders accepted a resolution from Mayor Jacobs honoring the life and legacy of her father. 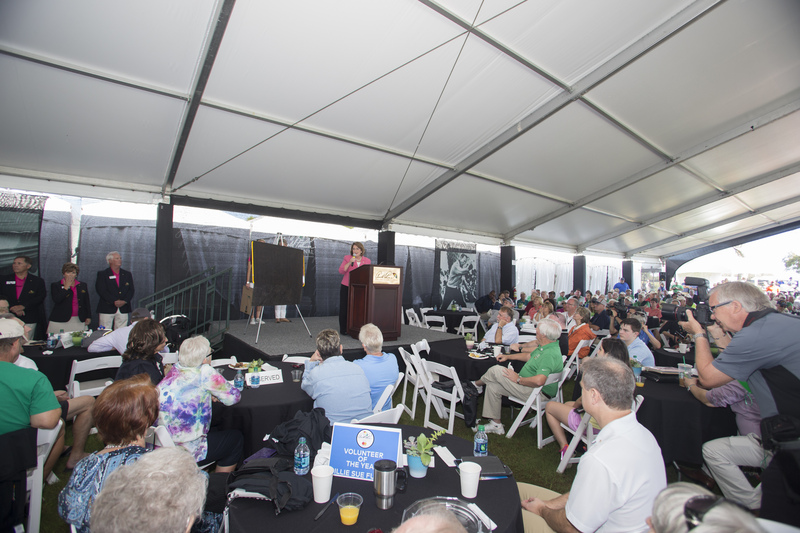 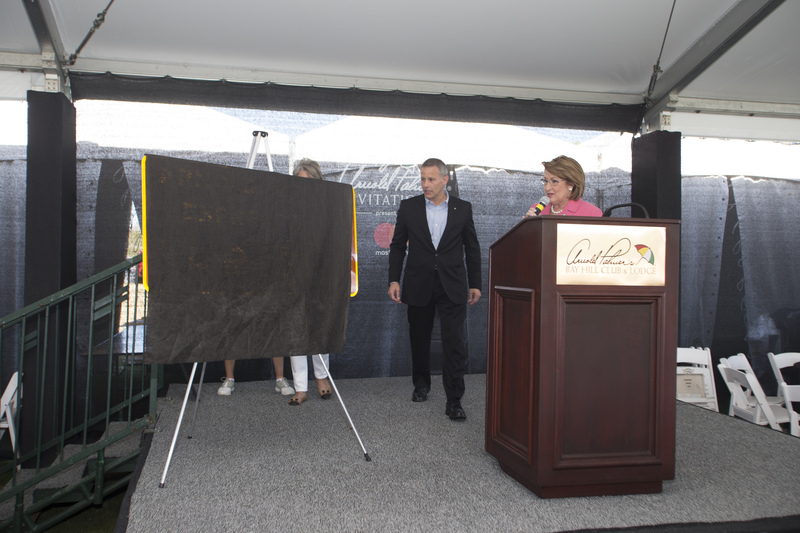 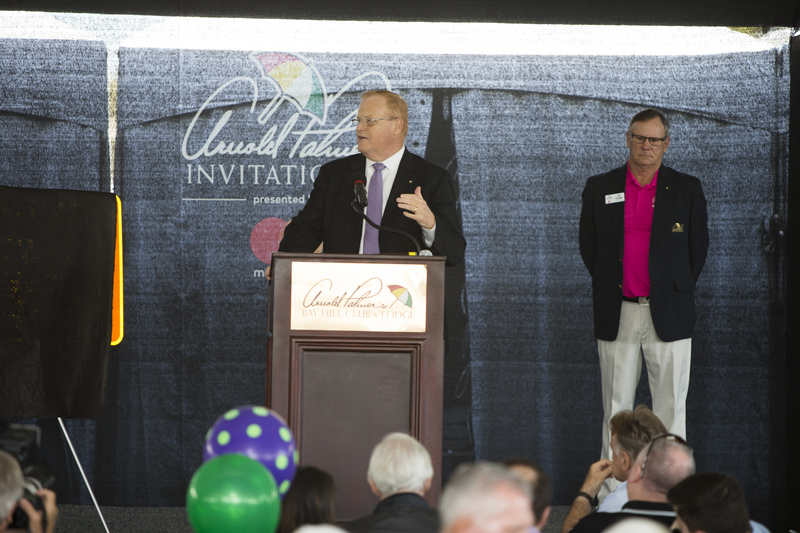 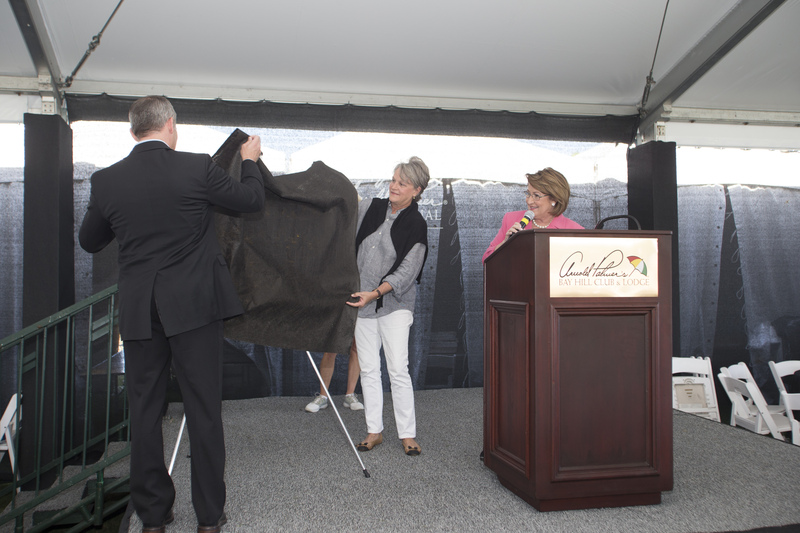 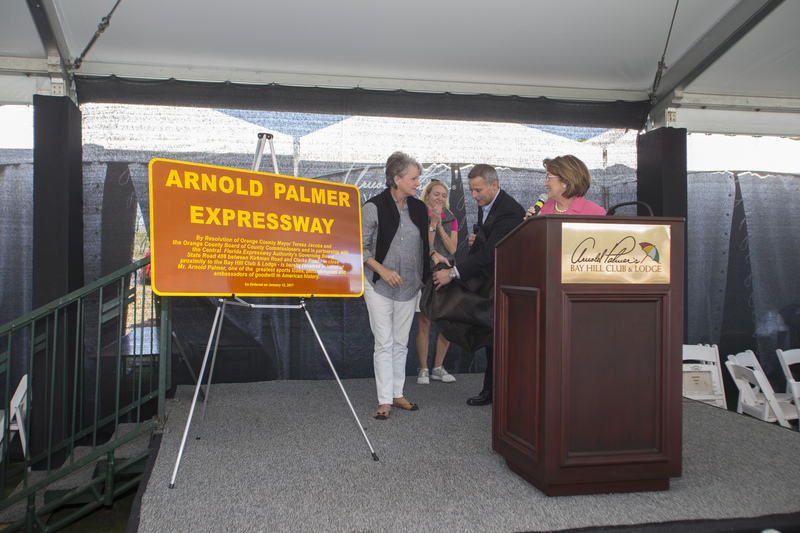 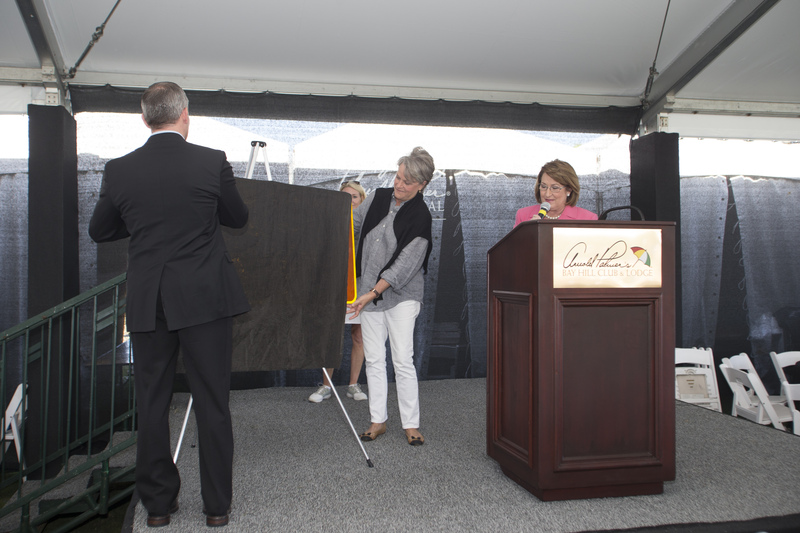 Jacobs then announced a portion of State Road 408 had been renamed the “Arnold Palmer Expressway,” and unveiled a replica of the signage. 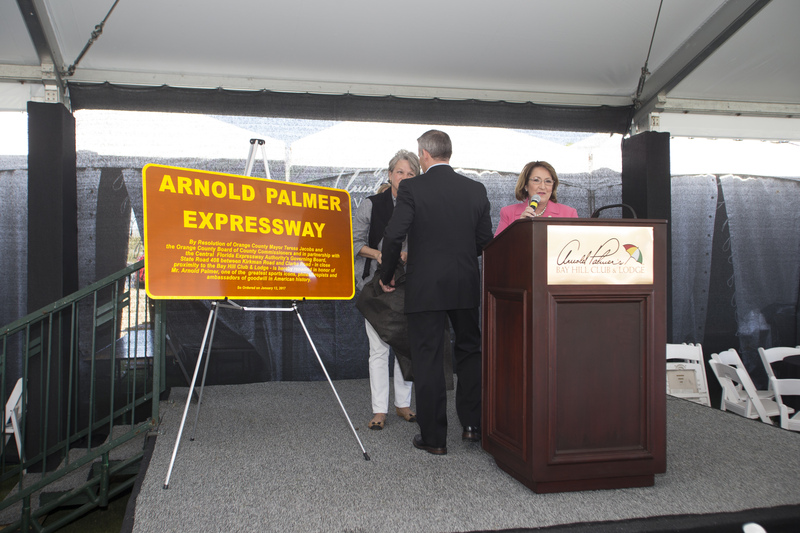 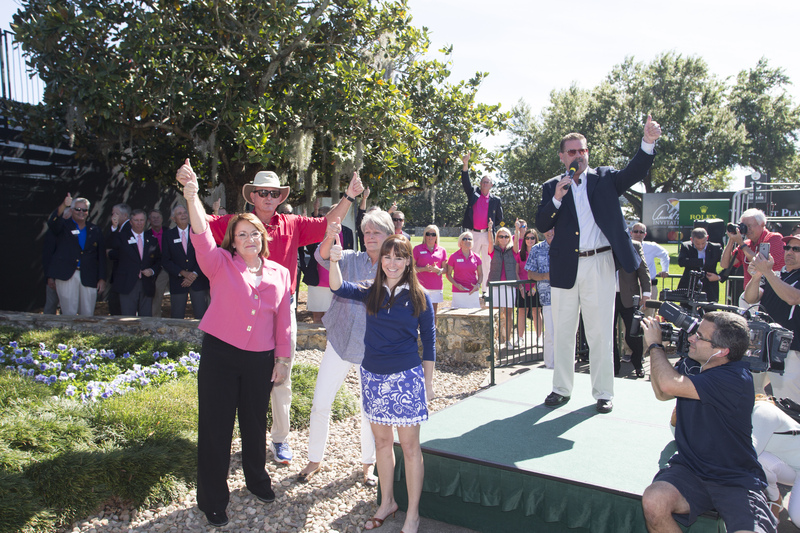 The portion of the renamed highway is located between Kirkman Road and Clarke Road, in close proximity to the Bay Hill Club and Lodge. 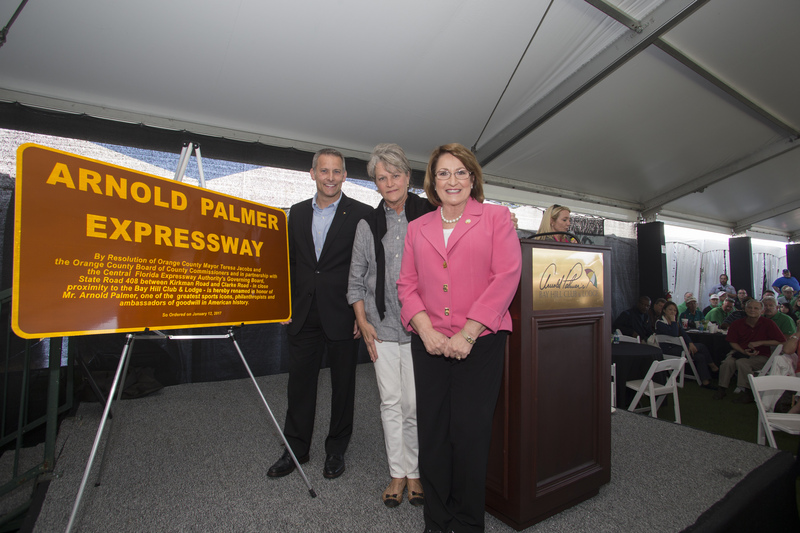 As a way to remember Palmer’s legacy, a sign will be installed in that section of the expressway. 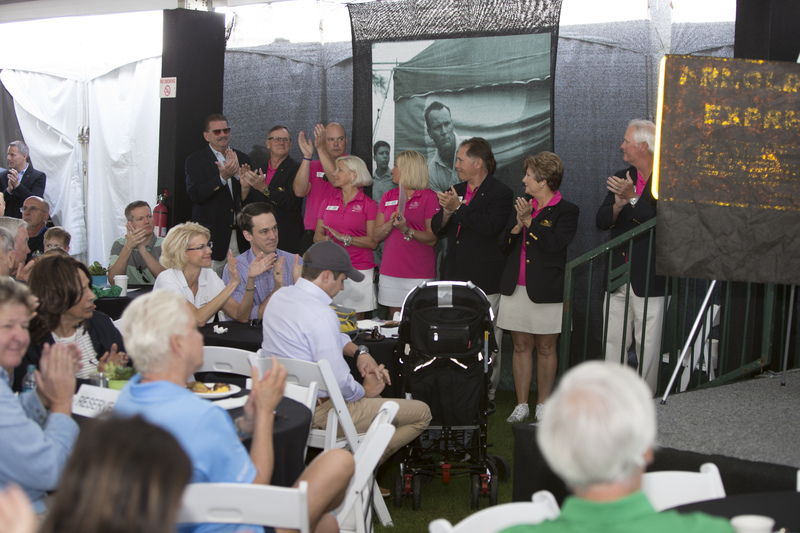 While Palmer passed away on Sept. 25, 2016, the community continues to feel the deep impact of his life and spirit. 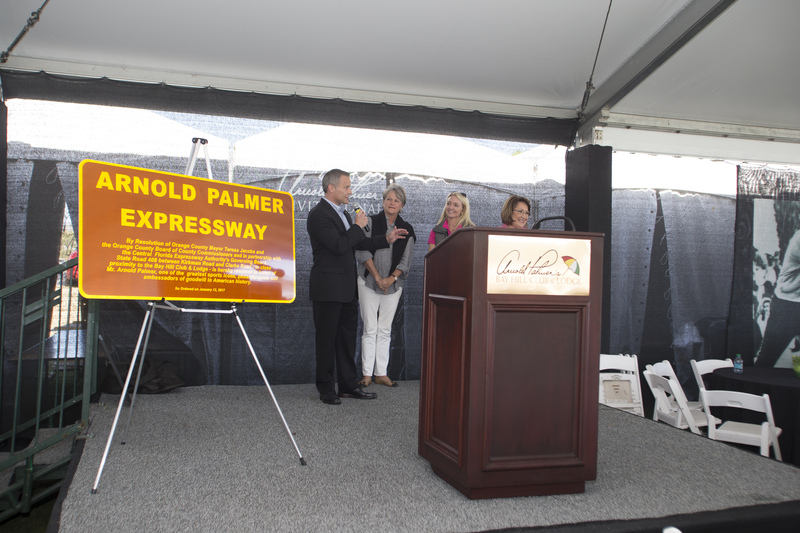 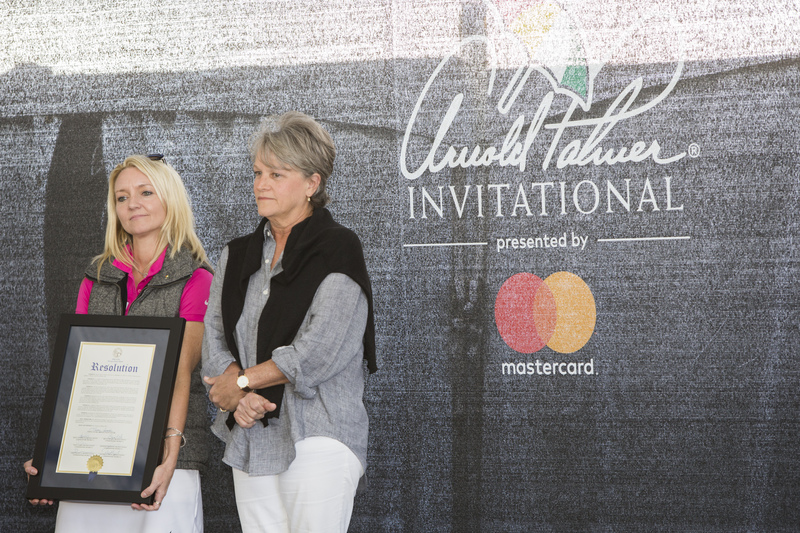 Palmer was not only a distinguished golfer, but also a beloved community member and generous philanthropist who founded the award-winning Arnold Palmer Hospital for Children and the Winnie Palmer Hospital for Women & Babies. 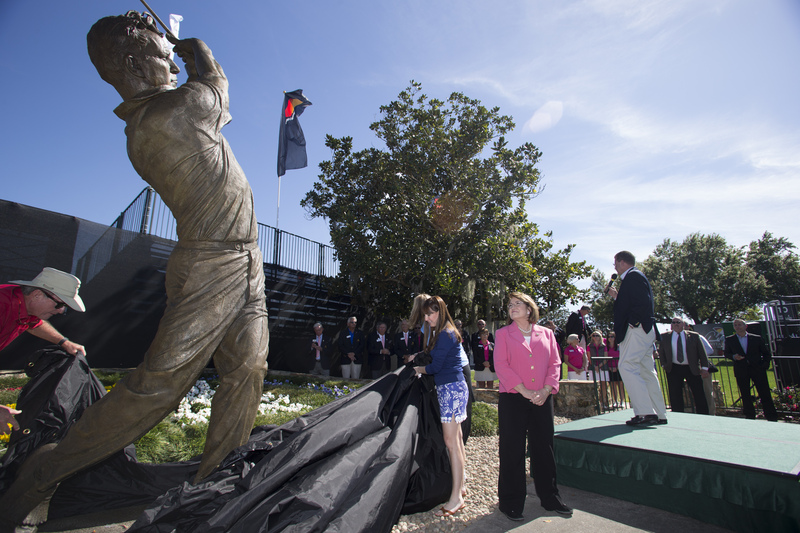 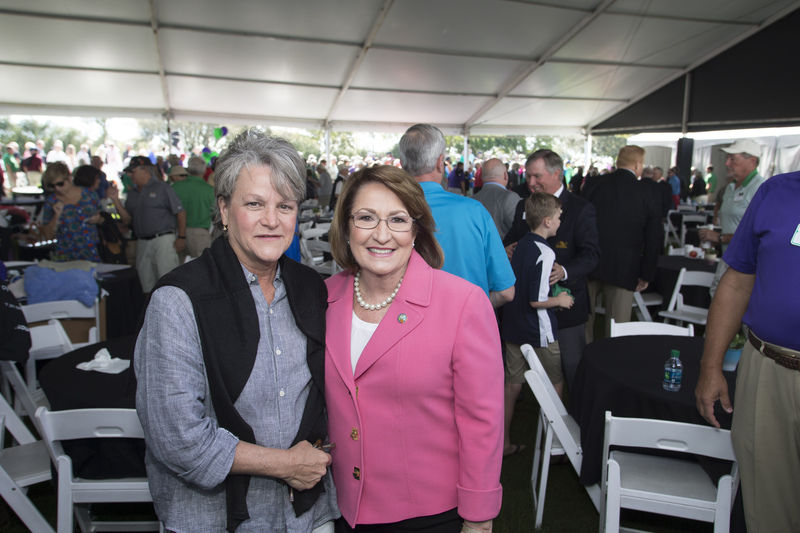 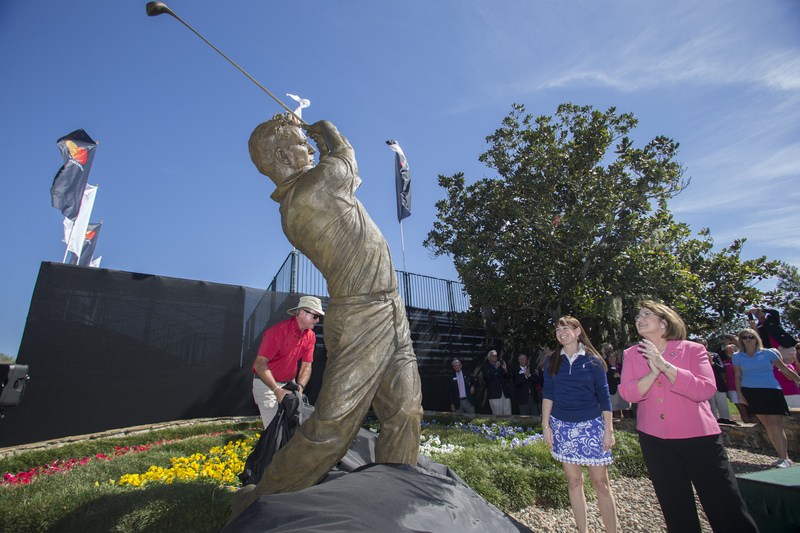 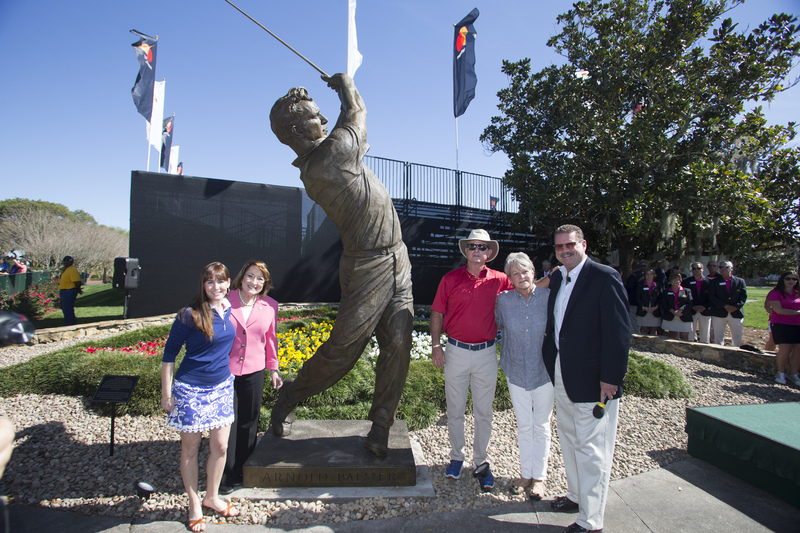 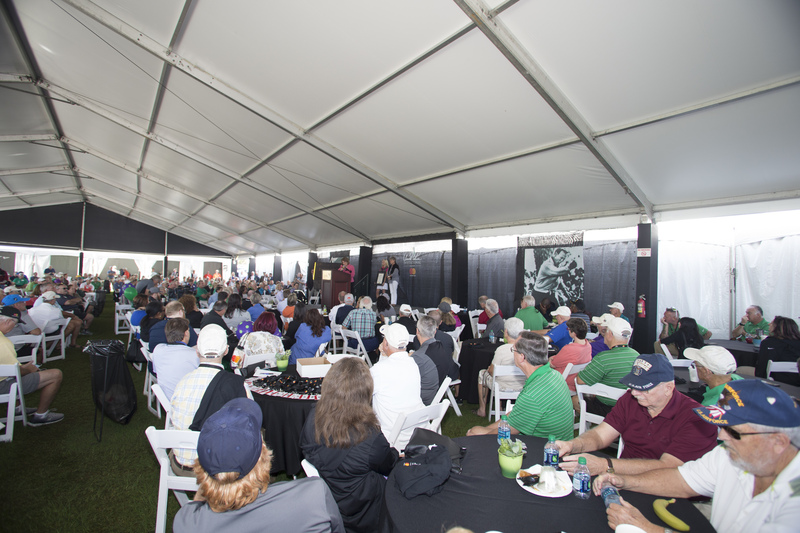 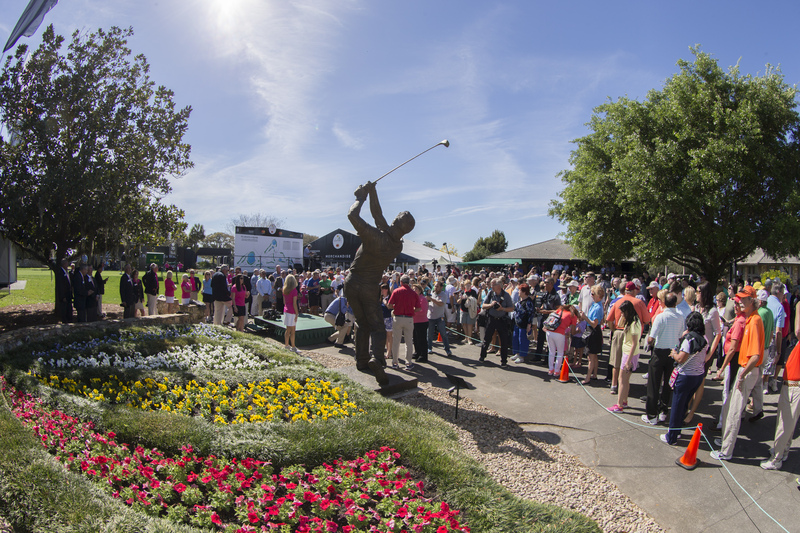 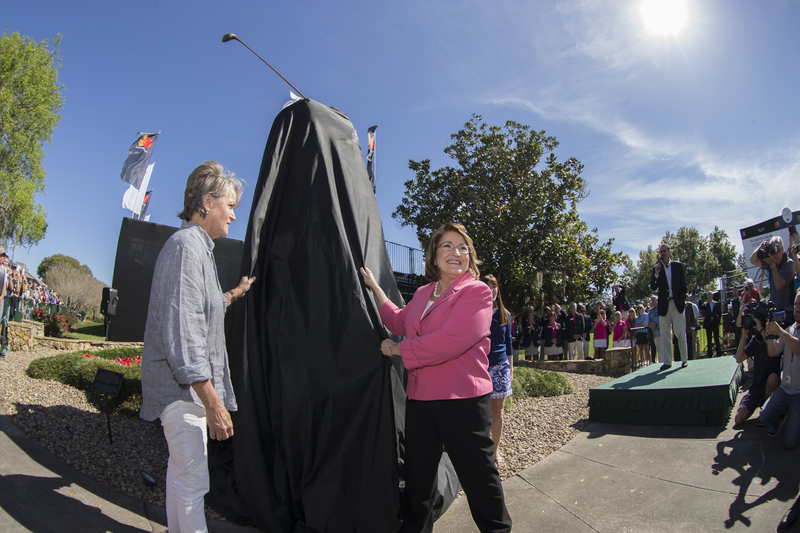 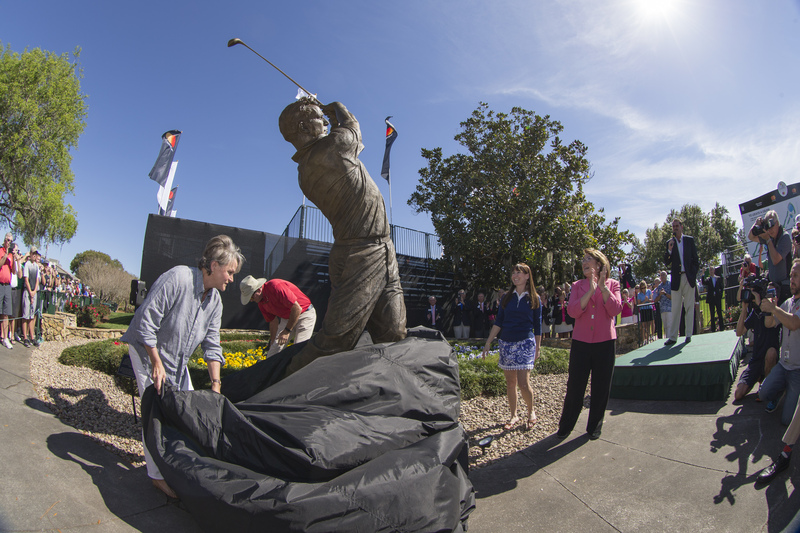 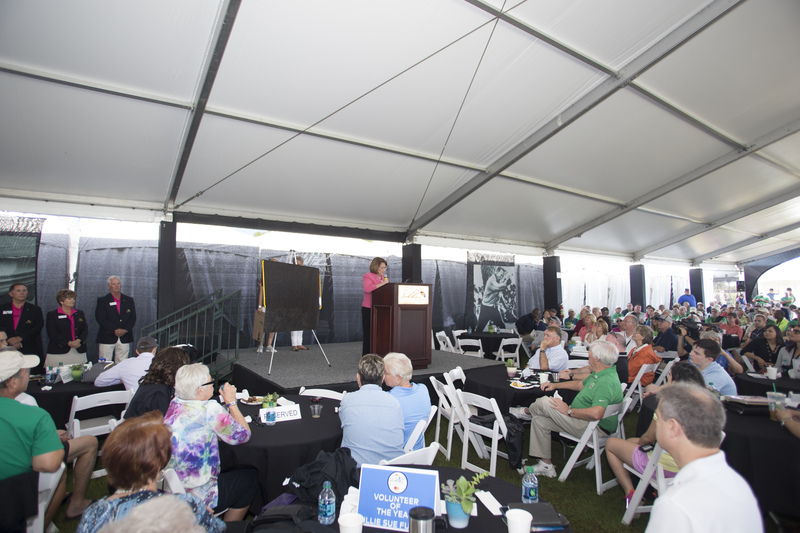 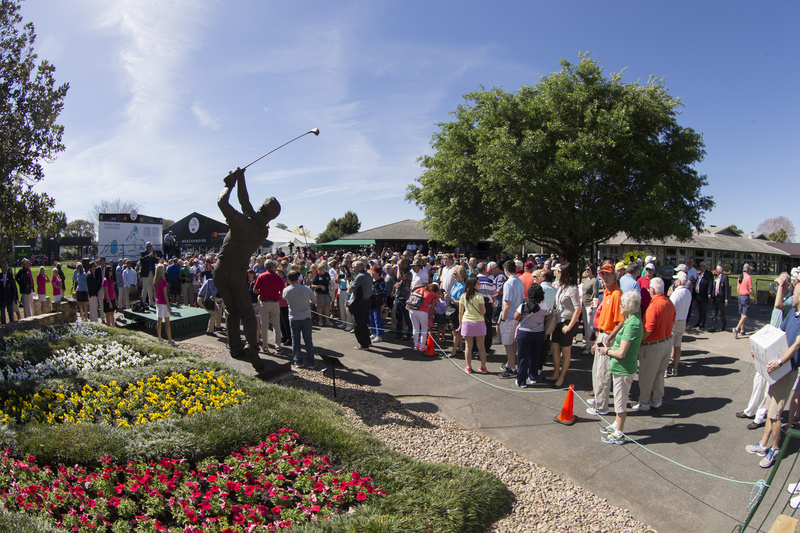 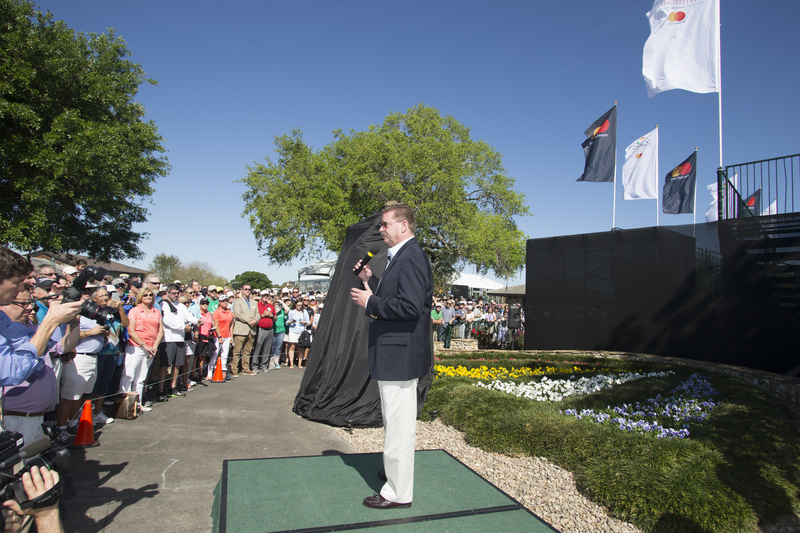 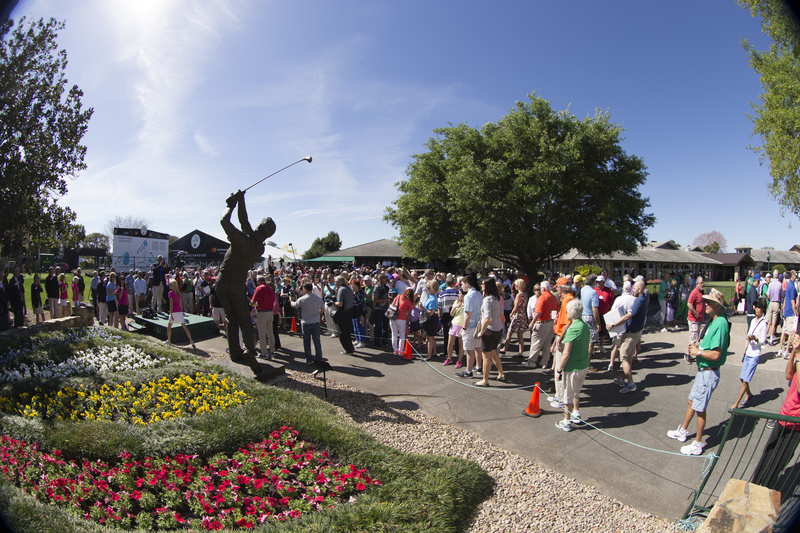 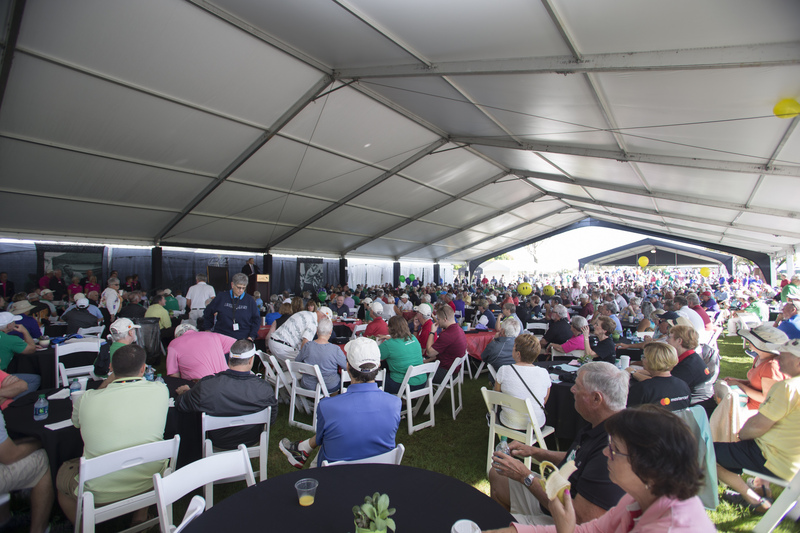 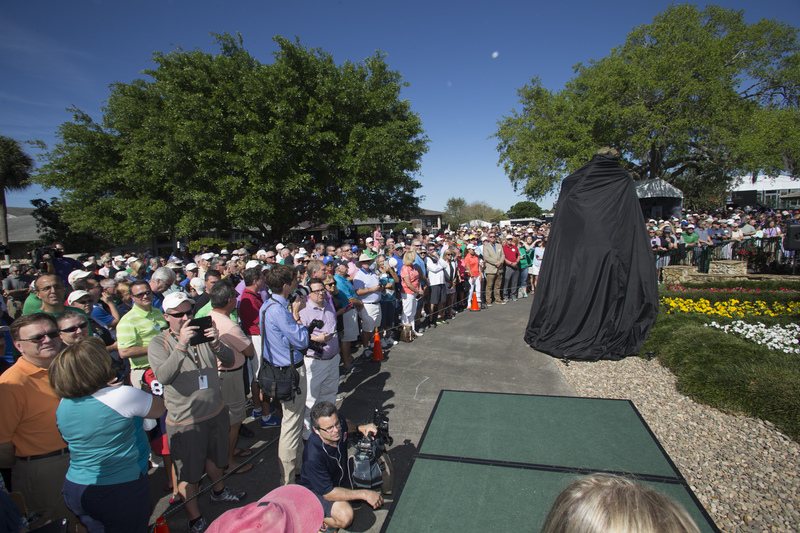 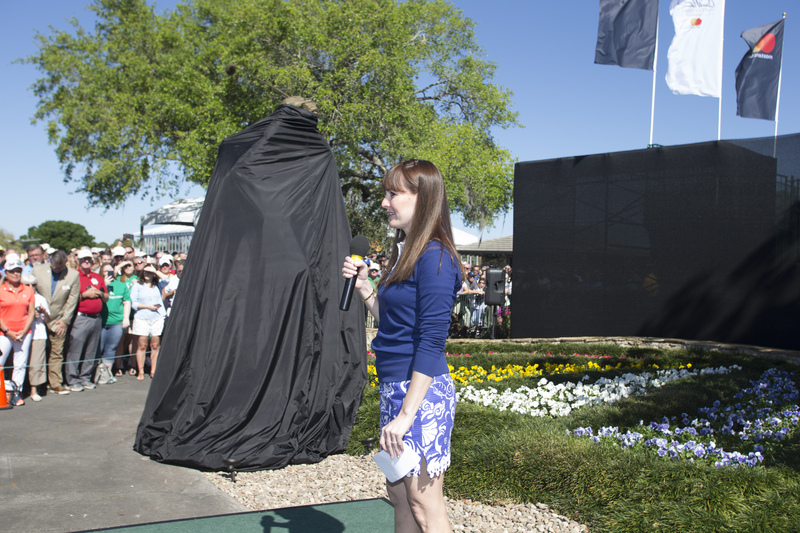 The event also featured the unveiling of a magnificent new Arnold Palmer statue, a 13-foot, 1,392-pound bronze replica of the statue displayed at Wake Forest University, his alma mater. 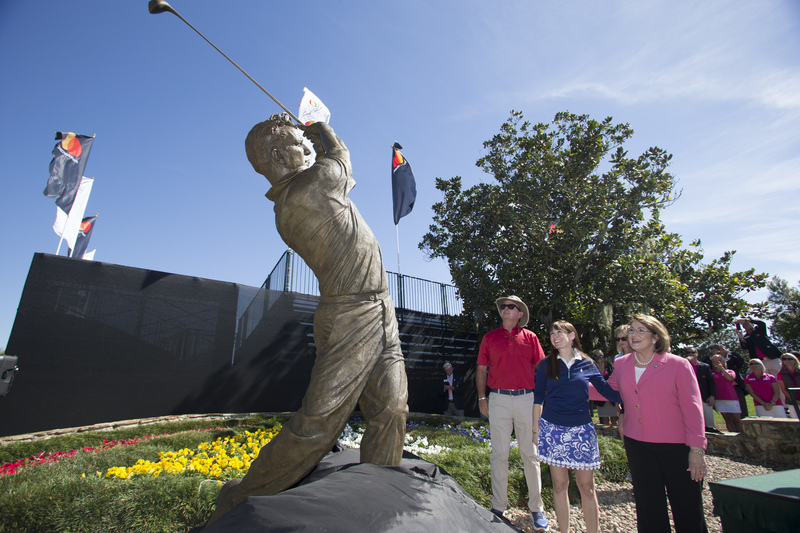 The larger-than-life sculpture depicts Palmer’s unique and recognizable powerful golf swing. 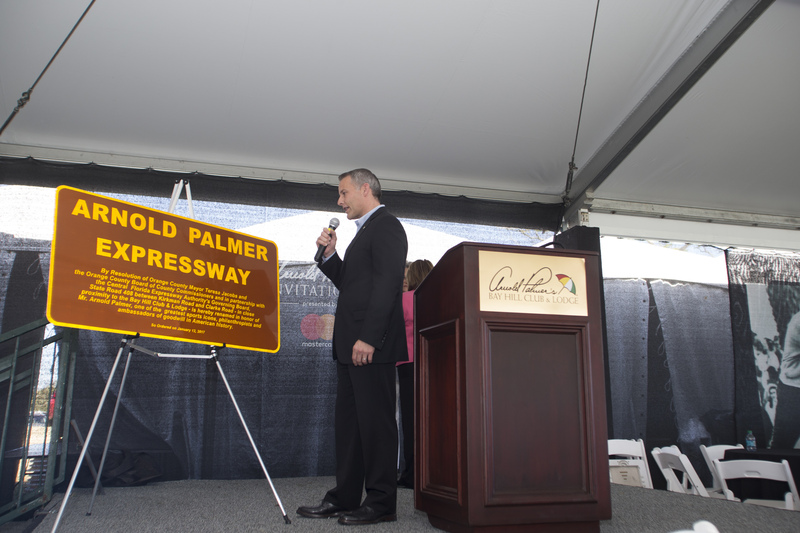 Throughout his life, Palmer always put others before himself. 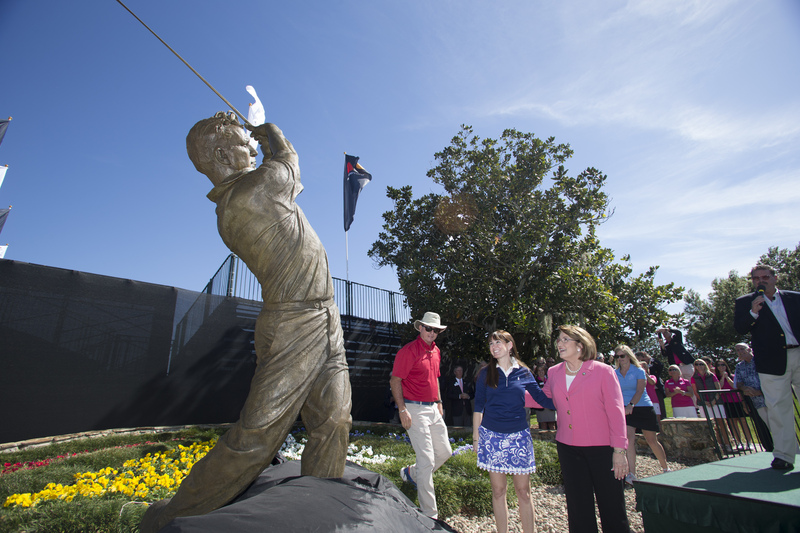 At a young age, he quickly became a pillar in the golf community and received a scholarship to Wake Forest University. 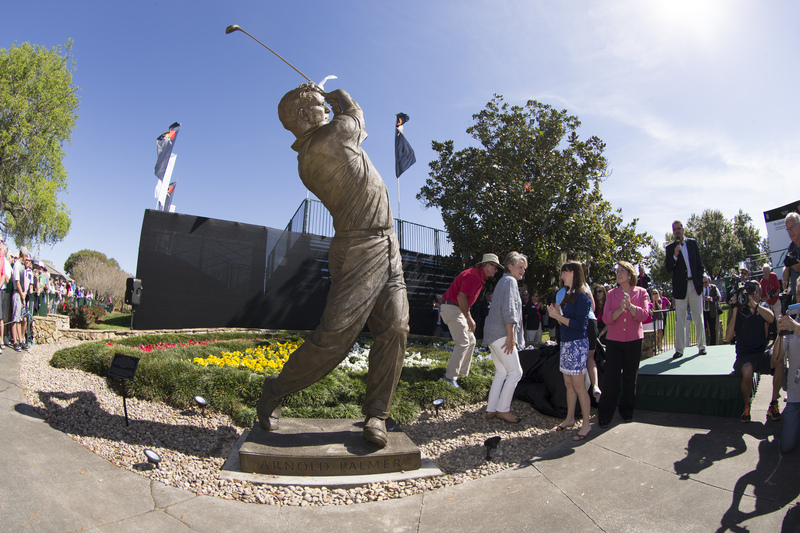 Shaken after the death of a close friend, Bud Worsham, he left college during his senior year to join the U.S. Coast Guard. 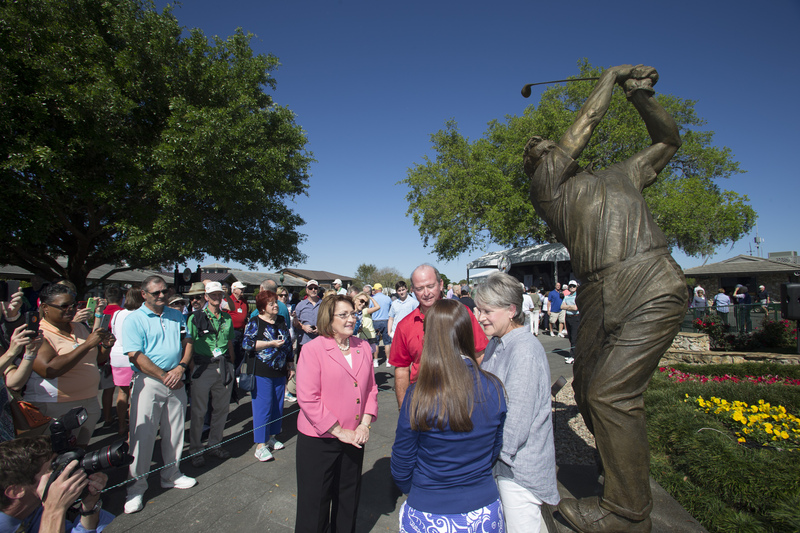 By 1954 he had returned to the game, and by 1958 he had distinguished himself as the youngest Masters Golf Tournament champion, earning the nickname “The King.” Throughout his career, Palmer won a total of 93 titles. 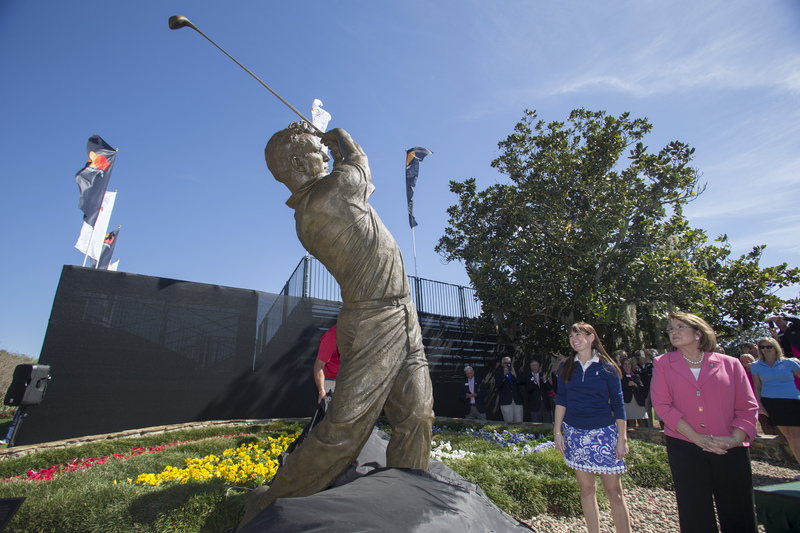 He won seven major championships, including four Masters and two British Opens. 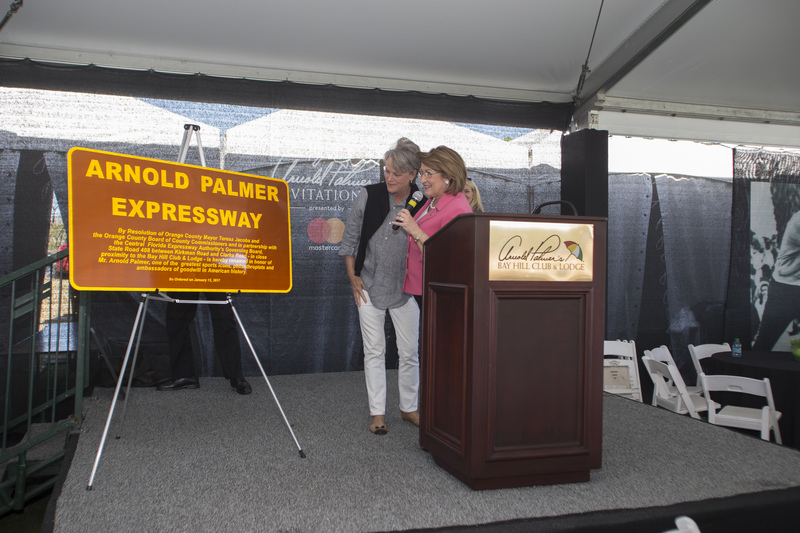 Palmer discovered Bay Hill during the winter of 1965 and fell in love with the course and the area. 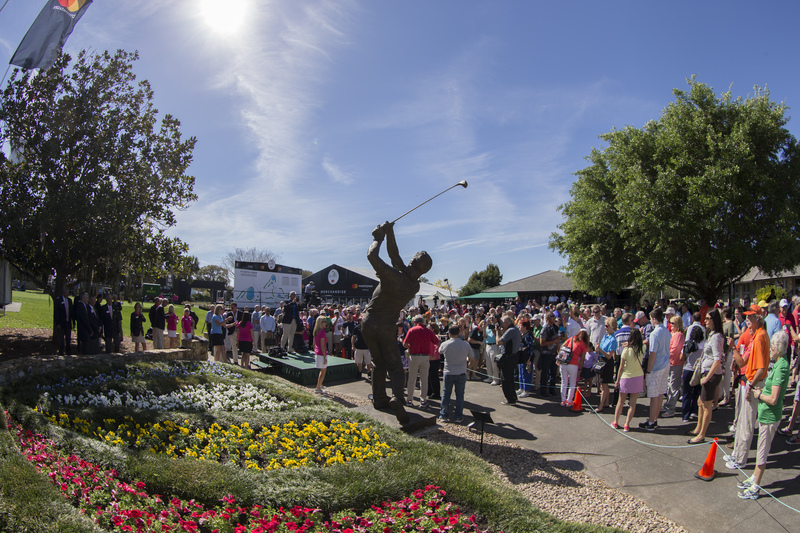 According to his family, Bay Hill remained his sanctuary. 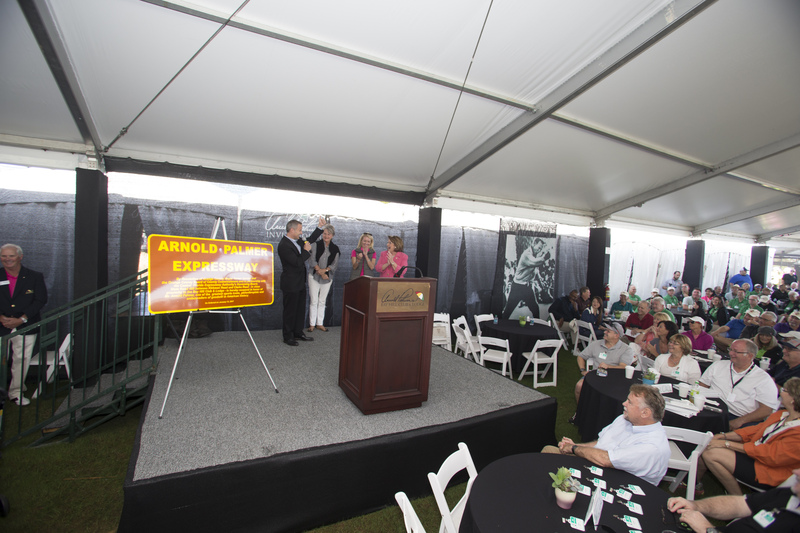 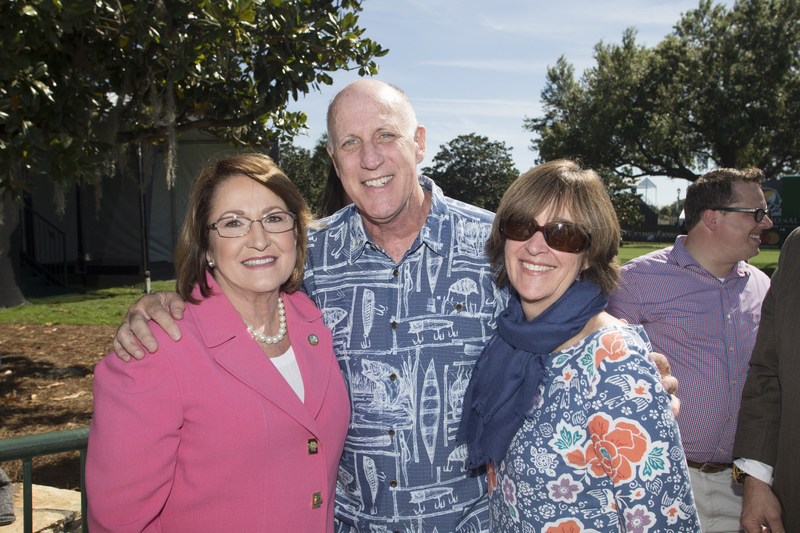 He contributed greatly to the City of Orlando and Central Florida communities, most notably through the establishment of the Arnold Palmer Hospital for Children in 1989 and the Winnie Palmer Hospital for Women & Babies in 2006.